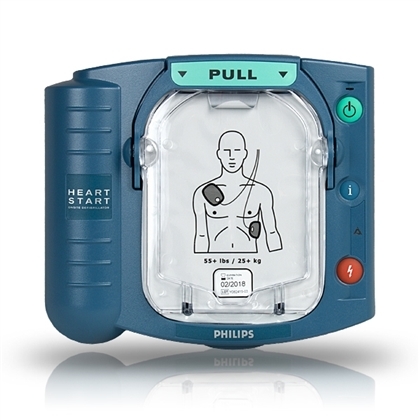 CPR & OnSite Defibrillator Philips, the worldwide leader in automated external defibrillators (AEDs), designed the HeartStart OnSite Defibrillator for the ordinary person in the extraordinary moment. The first and only AED available without a prescription, the OnSite is designed to be the easiest to set up and use and the most reliable defibrillator available. SKU: M5066A. 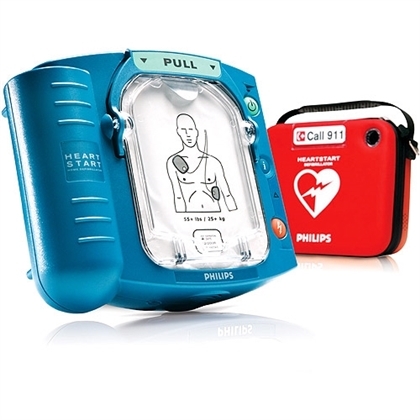 Categories: Best Sellers, Automated External Defibrillators. 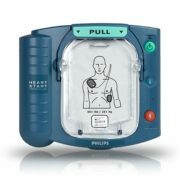 CPR & OnSite Defibrillator Philips, the worldwide leader in automated external defibrillators (AEDs), designed the HeartStart OnSite Defibrillator for the ordinary person in the extraordinary moment. 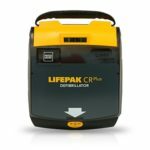 The first and only AED available without a prescription, the OnSite is designed to be the easiest to set up and use and the most reliable defibrillator available. 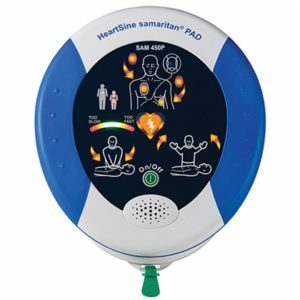 Their innovative technology, based on extensive research and user feedback, has produced a defibrillator so easy to use that you can potentially save the life of a coworker, friend, or anyone else stricken with sudden cardiac arrest. 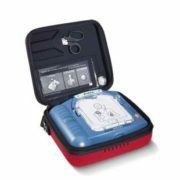 Weighing just 3.3 lbs/1.5 kg, the HeartStart OnSite Defibrillator is small and lightweight. 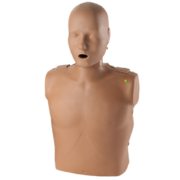 Using clear, calm voice instructions, it guides you through each step of defibrillation, including CPR coaching. Integrated SMART Pads placed on the victims bare skin sense and adapt the defibrillators instructions to your actions every step of the way. HeartStart OnSite includes highly proven Philips technologies for heart rhythm assessment (SMART Analysis) and defibrillation energy delivery (SMART Biphasic). 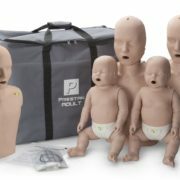 And like all HeartStart Defibrillators, it can be used to treat infants and children as well as adults.